Opening the box, "Jack" jumps out. 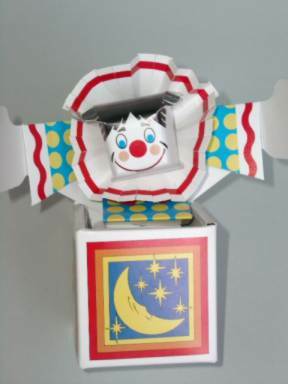 The paper model is adapted from a toy in the Victorian age. Nothing is glued, all parts are put into each other. The spring consists of cardboard strips which are fold into each other.